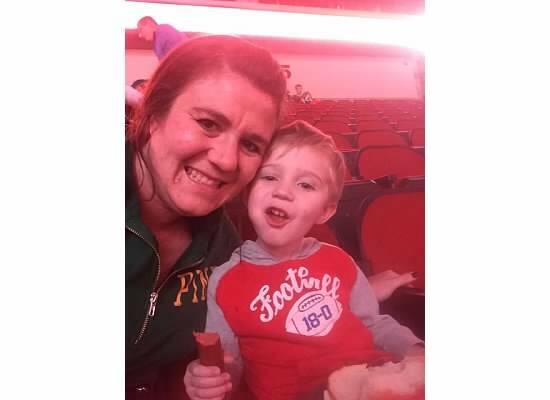 We attended our FIRST Iowa Wild game a couple weeks ago. 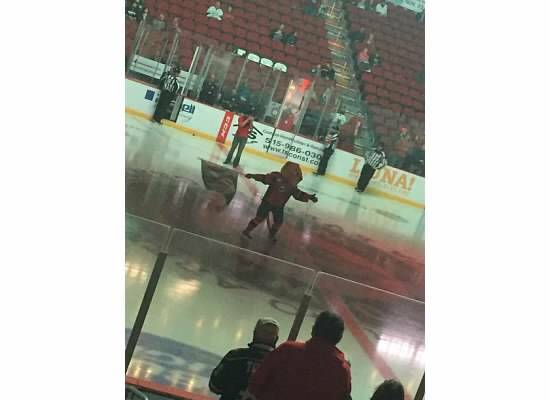 It was actually our first hockey game and we had so much FUN! 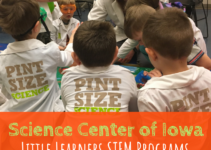 I cannot tell you how much fun this event is and is definitely a family fun thing to do! I think when people think of hockey, they think of drunk guys, fights and more of the adult entertainment aspect. 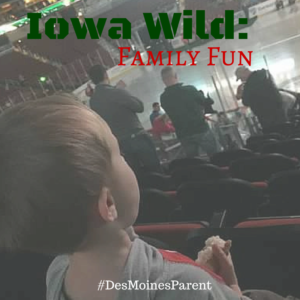 The Iowa Wild does such a great job to create a kid-friendly atmosphere. Sure, there are a few crazy guys & ladies have a great time, but the kids love it too! 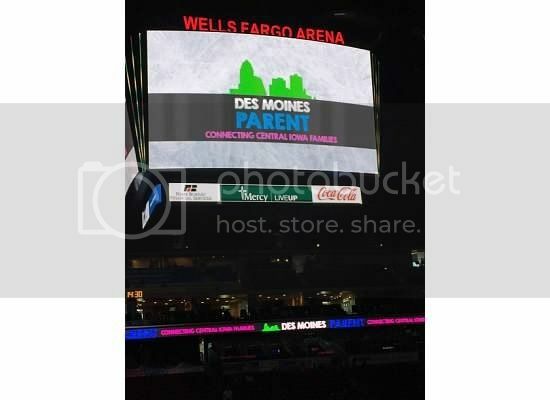 First off, right when we sat down in our totally awesome seats this appeared on the screen …. Monte really enjoyed Crash and his silly antics. I think he might have been the highlight of the game. Every once in awhile he would look at me and ask “Where did Crash go?! ?” Then he would end up somewhere fun in the arena. When the game got started Monte REALLY got into it! 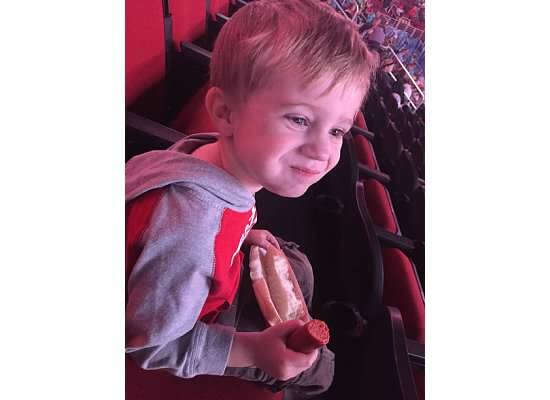 Every once in awhile you could hear him yelling “Go Iowa!” It was super cute and of course he enjoyed the hot dogs (which he ate TWO!). Monte really enjoyed the players being slammed up into the glass. Every time that happened you could hear laughter coming from him. It was cute. I am not sure if this is a good thing or bad thing? :/ But, hey! It’s a hockey game! During the halftime, intermission (I don’t really know what they call it in hockey) some fans played a game out on the ice, which was entertaining! AND Monte showed up on the large screen! November 21st @ 12:30 pm – Youth Sports Day! Youth Sports Day highlights the first matinee game of the season on Saturday at 12:30 p.m. vs. Lake Erie. 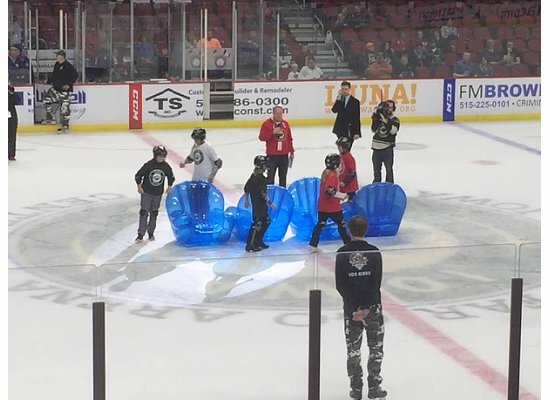 The first 1,500 fans (ages 12 and under) to the game receive an Iowa Wild red youth jersey, sponsored by LeafGuard and NASH FM. December 8th @ 7 pm – Kids Eat FREE Tuesday! 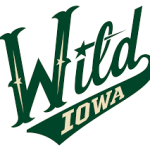 The Iowa Wild hosts the Chicago Wolves at 7 p.m. for the first Tuesday game of the year. ALL KIDS EAT FREE ON TUESDAY! 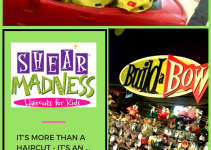 All Kids (12 and Under) receive one (1) Crash’s Kids Meal, which includes 1 hot dog, 1 soda, 1 popcorn, 1 fruit snack and one Wild prize – presented by 96.5 Country of iHeartMedia Des Moines. 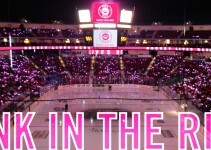 December 20th @ 3 pm – Teddy Bear Toss! Iowa calls for the Teddy Bear Toss on Sunday, Dec. 20 at 3 p.m. The annual toss benefits the pediatric unit at Mercy Hospital. The Subway/Star102.5 FM Combo pack starts at $12 per person and includes one ticket, one hot dog, one soda and one subway coupon. 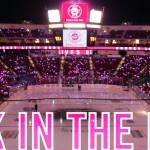 Take a look at all the theme nights until the end of the season here! Don’t forget to keep an eye on our Facebook page! We will be giving away lots more tickets through out the season!